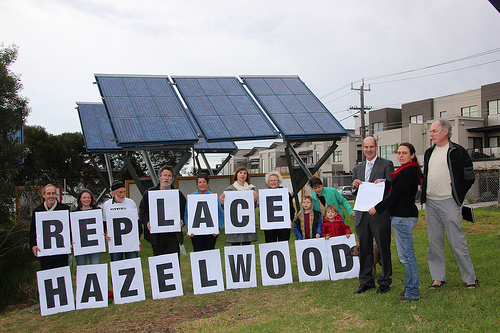 Local Moreland residents presented a signed letter to Federal MP Kelvin Thomson urging the Federal Government to conclude negotiations to replace Hazelwood coal fired power station with clean energy. 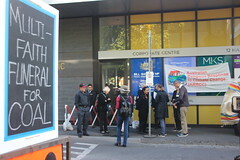 I attended from Sustainable Fawkner and photographed the event. 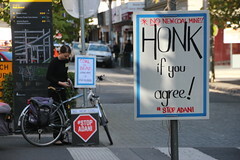 Local Moreland residents have urged the Federal Government to continue negotiations for closing the Hazelwood coal fired power station as part of its commitment to reducing carbon pollution and climate mitigation. 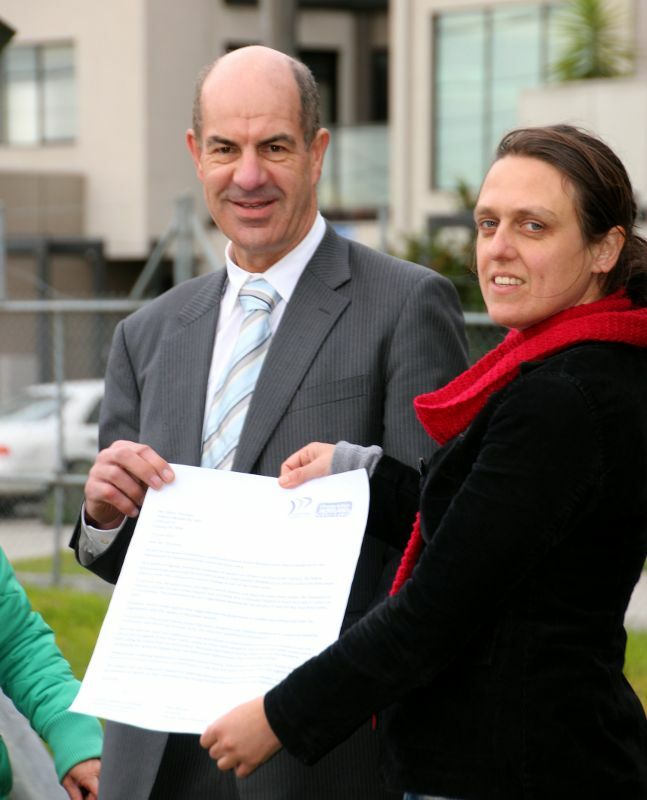 Kelvin Thomson, Federal MP for Wills, was presented with a letter from local Moreland residents urging the Federal Government to conclude the negotiations to fund the closure of the Hazelwood coal power station as a significant climate mitigation action. The event took place on June 14 at the Centre for Education and Research in Environmental Strategies (CERES) in Brunswick East, in front of the demonstration solar photovoltaic panels at CERES – a powerful symbol of the need to move from electricity from polluting coal fired power to clean sources such as wind generation and solar energy. The Hazelwood coal fired power station is one of the least efficient, most polluting power station in Australia and one of the dirtiest in the world releasing 16.0 million tonnes of carbon dioxide each year (the second highest emitter in the Latrobe Valley), which is 2.8 % of Australia’s total carbon dioxide emissions, and 9 % of Australia’s total CO2 from electricity generation. The power station is also a major consumer of water: 1.31 megalitres of water is consumed per gigawatt hour of power generated. 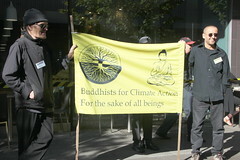 Many climate action groups and major state environment groups such as Environment Victoria have been urging both the State and Federal Government to replace Hazelwood with clean energy for a number of years, with the previous Brumby Labor Government even committing to a partial closure. 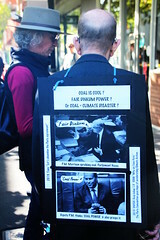 Ellen Roberts from Climate Action Moreland handed the signed letter to Kelvin Thomson while members of her group looked on and held letter placards saying ‘Replace Hazelwood&quot’. Climate Action Moreland are currently progressing a plan for a community funded and owned solar renewable energy project located in the City of Moreland.